Cathy [Moseley], along with her co-founder Katie [Wake], are two passionate foodies who wanted to create a healthy snack using unconventional flavours. Having previously been street food traders, they needed fuel for themselves when on their feet all their day. As Cathy is a coeliac, this could be particularly tricky given her diet requirements. 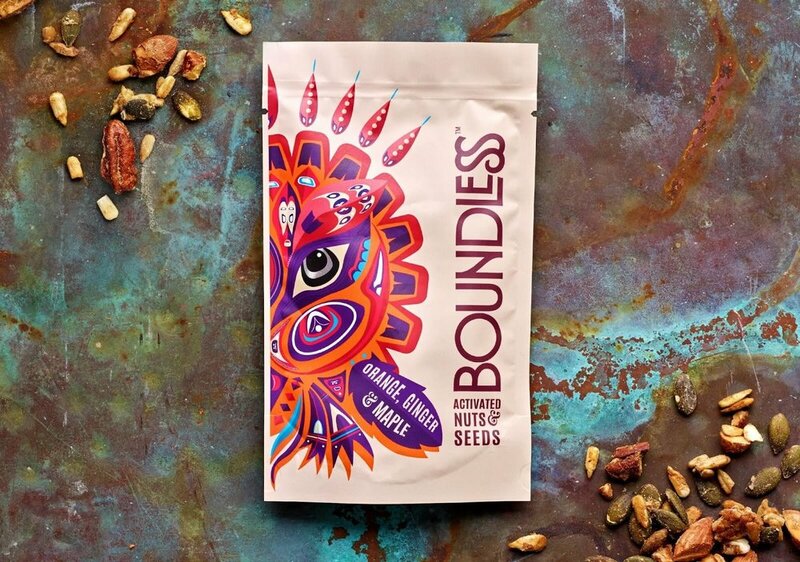 Using herbs and spices from their food truck, and knowledge of Aboriginal cooking methods, they created Boundless - nuts and seed pouches to provide you with an energy boost whilst being high in protein and fibre for busy people. Why is Boundless so healthy? This combines for a low sugar snack which is high in fibre and protein. They are also gluten and soy free, whilst being vegan and coeliac-friendly. We deliver Boundless pouches within the Office Pantry snack packs on a rotating basis. Remember that, as a customer, you can tailor your contents by giving us your feedback.